Klarius Products has developed a concept which it calls ‘virtual warehousing’. Here, the company explains how this online stocking solution might help factors to increase exhaust business. At some point, most cars will receive a replacement exhaust. However, the random nature of exhaust system failures means that stockists must hold a lot of part numbers to cover every eventuality. Exhausts, catalytic converters (CATs) and diesel particulate filters (DPFs) are bulky to store and can be slow moving, however they still need to be delivered to repairers quickly when required. There is now a solution to this headache for stockists, offered by Klarius Products. It’s called ‘virtual warehousing’, and the company says it changes what can be done with stock. 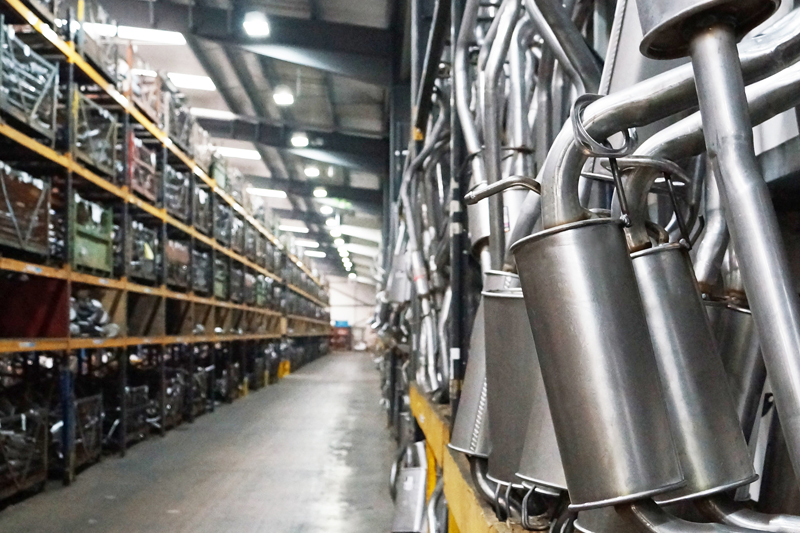 Ideally, a stockist will want to hold a number of popular exhaust references on- site but hold the vast majority of stock off- site, so that facilities are not clogged with less popular components. To hold stock off-site effectively, a robust, logistical framework is required to ensure that even an exhaust for a niche vehicle application can be delivered to garages promptly for a speedy repair. Klarius offers its customers efficient stock management thanks to a substantial warehousing capacity at its Midlands HQ, with a product range reaching into the tens of thousands. Klarius aids stockists by highlighting fast-moving product references, profiling stock and allowing differentiation between components the stockist should hold on-site (popular) and off-site (not so popular). This helps to eliminate stock standing still on the rack, improving sales figures and space efficiency in tandem. Stockists can treat Klarius’ warehouse capacity as if it were their own. A customised online ordering system ensures seamless interaction between manufacturer and distributor, ensuring total accessibility as if the stock was on-site. Specialised bagging, hanging and tagging ensures that products are delivered in a manner to suit stockists’ individual preferences, so they can seamlessly integrate with in-house inventory systems; effectively a ‘virtual warehouse’. 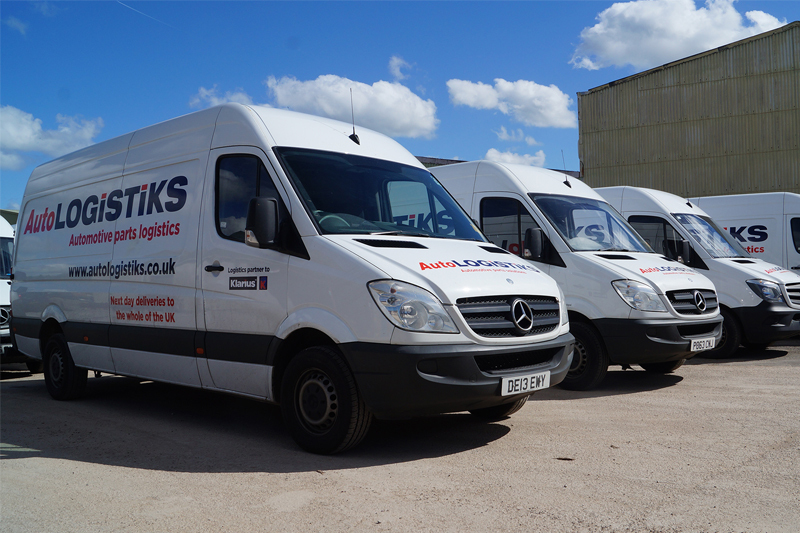 To ensure on-time delivery, Klarius also operates a dedicated logistics business, AutoLogistiks. This ensures that next morning delivery is available across the UK – fast enough to ensure that stock can be replenished quickly. This means that the traditional delivery delays often associated with off-site stock are eliminated. Therefore, Klarius’ warehouse can effectively function with the speed of response associated with a stockist’s own facility. stockpiles exhausts based on market demand to ensure that both popular and less popular components are always available on the warehouse racks. In addition, this close partnership allows new- to-range components to be added while slow moving parts are removed from front- line shelves. The result is that distributors only hold fast moving parts, while slower moving items are ready for delivery when required. This ensures greater space efficiency on-site, as well as increased time efficiency, with less time spent on inventory management. Ultimately, distributors can focus on their core business, safe in the knowledge that a responsive, robust supply chain can absorb the demands of their customers. 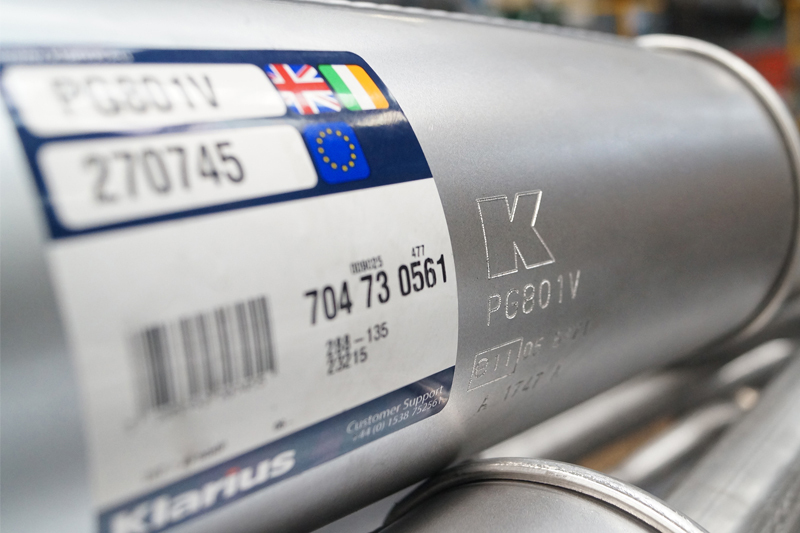 For more information on the range of exhaust exhausts, catalytic converters and diesel particulate filters offered by Klarius, click here.